The Ontario PC leadership contest is gearing up, and so is support for the man whose resignation triggered the race. There's been an increase in public statements in defence of Patrick Brown, particularly in the wake of his first interview since resigning as leader on Jan. 25th and his weekend post on Facebook insisting he can disprove the sexual misconduct allegations against him. 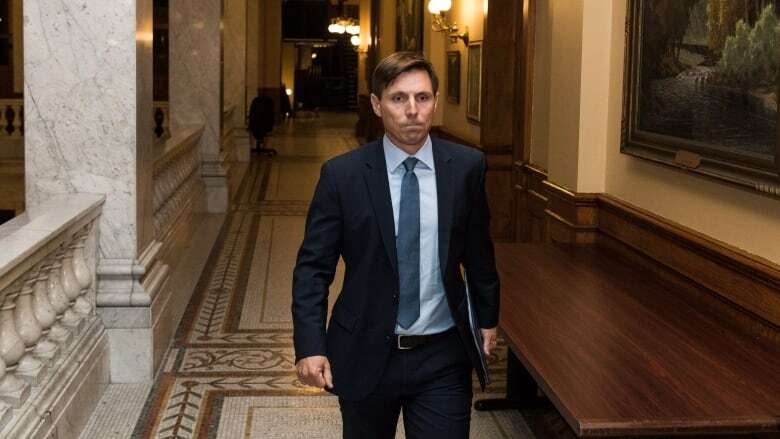 More than 12,000 people have attached their names to an online petition entitled "Justice for Patrick Brown," seeking his reinstatement as party leader. Dozens of women in Simcoe County — his home territory, north of Toronto — signed an open letter criticizing the allegations as coming from "anonymous, faceless shadows." At least eight nominated PC candidates in the upcoming provincial election have gone public, on Twitter, with support for Brown. "Our leader, a true public servant, has been thrown aside, vilified, and destroyed by two anonymous accusations dating back years," says the open letter, made public Monday. "The Patrick Brown we grew to know and admire is one who has always advocated for equality and women's rights." The letter was kick-started by Sandy McConkey, a councillor in Springwater Township, which is part of Brown's riding north of Barrie. "We're livid by what has happened to Patrick Brown, said McConkey in a phone interview Monday with CBC News. "I just feel everyone deserves justice and due process when allegations are made against them. 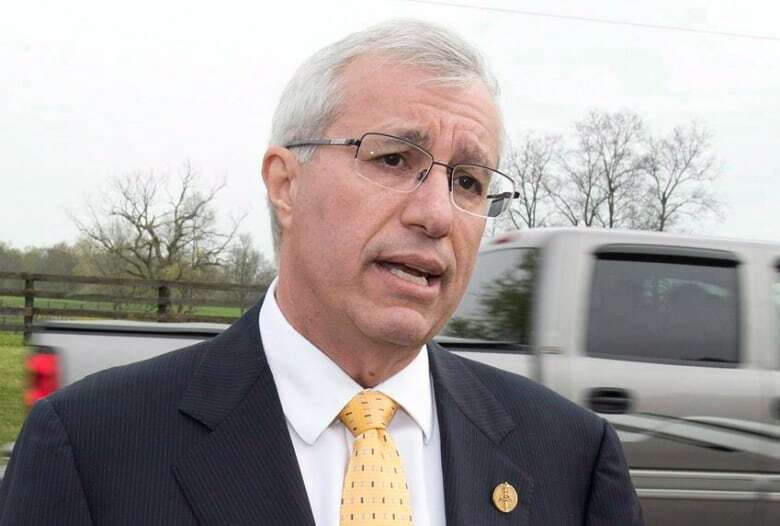 While most nominated candidates and the party's elected MPPs are declining to make public statements in support of Brown, a handful have used social media to come to his defence. "He was executed without a trial for sure," wrote Brampton candidate Amarjot Sandhu on Twitter. "I stand with Patrick Brown!" declared Thenusha Parani, whose nomination as the PC candidate in Scarborough Centre was overturned by party officials on Friday. "I always believed Patrick," tweeted Mohammad Latif, the PC candidate for Windsor–Tecumseh. While he is no longer party leader, Brown remains the MPP for Simcoe North, and is still officially a member of the PC caucus. The provincial legislature resumes sitting on Feb. 20, and there's nothing stopping Brown from taking his seat. CBC News has made repeated requests to speak with Brown but has received no response. Brown is also officially still the party's candidate in the riding of Barrie–Oro Medonte–Springwater. Party officials have not indicated any plan to unseat him, while they have overturned the nominations of two PC candidates, in Scarborough Centre and Ottawa West–Nepean. Over the weekend, leadership candidate Christine Elliott opened the door to allowing Brown to be on the ballot under the PC banner for the June 7 provincial election, should she become the party leader. "If he is able to clear his name by the time the election comes forward then I would have no problem with him running as a candidate," Elliott told a gathering of conservatives in Ottawa. The other leadership candidates, Caroline Mulroney and Doug Ford have not given clear indications about whether they would overturn Brown's candidacy. The three contenders will square off Thursday in a televised debate. Friday is the deadline for people to sign up as PC members to become eligible to vote for the new leader. The party will announce the winner on March 10.